As the face of travel continues to evolve, so should the nature and value of enriching travel programs being offered. 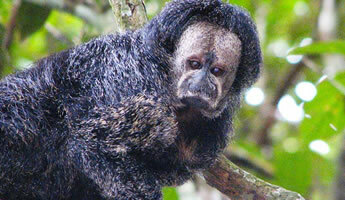 Peru is one of the most biodiverse countries in the world offering a unique combination of nature, wildlife, archaeology and cultural heritage. 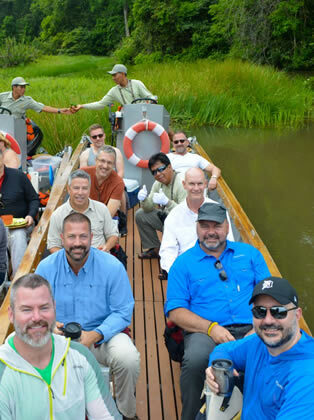 Brand g Vacations is pleased to introduce our 2020 Amazon Cruise and Machu Picchu Discovery travel program. 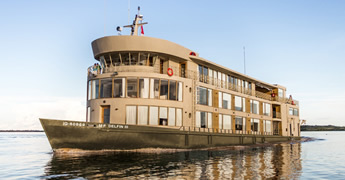 The cruise is operated aboard the luxurious Delfin III, which offers some of the most spacious accommodations along the Amazon River. This smartly designed, 44-passenger, colonial-style vessel, provides the ultimate in comfort, with five-star amenities. Our custom designed land program provides authentic, educational, and culturally-enriching encounters daily. Few trips offer as rich an experience of Peru’s diverse natural and cultural treasures. 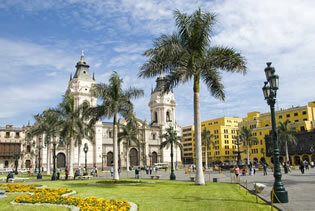 Begin in the cosmopolitan city of Lima, known for its vibrant food scene. Fly to Iquitos where you will embark a luxury riverboat that takes you deep into the rain forest within the Amazon Basin. 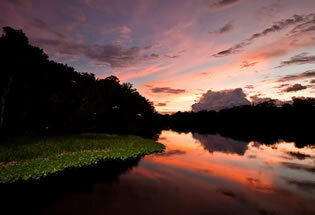 Home to a staggering array of wildlife, the Peruvian Amazon boasts nearly a thousand species of birds alone. 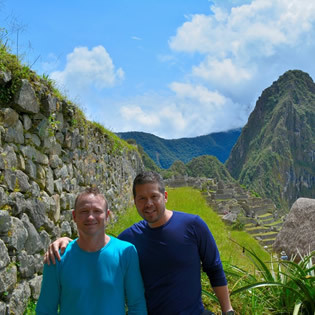 Enjoy fine wine and famous Peruvian cuisine while enjoying the company of other lgbt travelers. After disembarkation, we will continue on to the Sacred Valley near the Inca capitol of Cusco. From here, we board a train for a scenic journey to Machu Picchu, the mystical stone city built by the Incas in the 15th century. 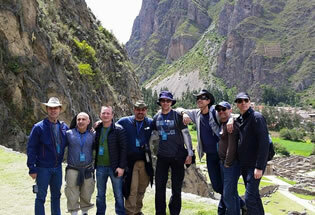 Afterwards return to Cusco for an overnight and guided tour before departing for your flight home. It’s the perfect combination of inspiring places and rich history in the comfort of an all-gay environment. Virtually all-inclusive rates starting from $5,599 per person. 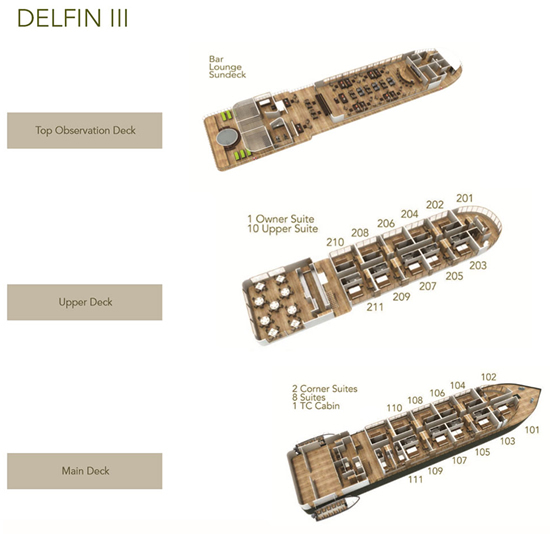 Brand g Vacations has chartered the Amazon Delfin Cruises 22-cabin Delfin III. 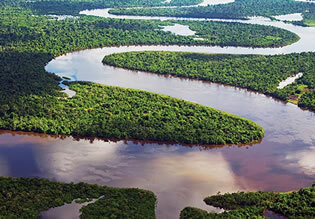 While cruising the Amazon, you will explore one of the largest expanses of tropical rainforest in the world. Smartly designed, this vessel provides the ultimate in comfort, with five-star amenities. Arrive the Jorge Chavez International Airport, where you will be greeted by a Brand g's local representative and transferred to the centrally located Hilton Lima Miraflores Hotel. After a morning briefing, depart the hotel to the historic center of Lima, a UNESCO world heritage site, where you will see the Cathedral, the Government Palace, the Archbishop’s Palace, and City Hall. Visit the Convent of the San Francisco Monastery, the most significant religious site in Lima, which provides insight into life during Spanish colonial times, and the catacombs, which served as a burial ground until 1808. Continue to the Cathedral which houses the remains of Francisco Pizarro, the founder of Lima. Following an included lunch, we’ll visit the Larco Museum, housed in a former mansion, itself built on the site of a pre-Columbian temple. The museum offers a vast collection of ceramic, textile and precious metal artifacts. There are also mummies that show off the different ways ancient cultures, including the Incas, preserved their dead. After the museum visit, enjoy a panoramic drive back to Miraflores through San Isidro to see the sites of “Parque de los Enamorados” (Lover’s Park), and enjoy a spectacular view of the Pacific Ocean. The evening is yours to enjoy at leisure. After breakfast, fly from Lima to Iquitos. 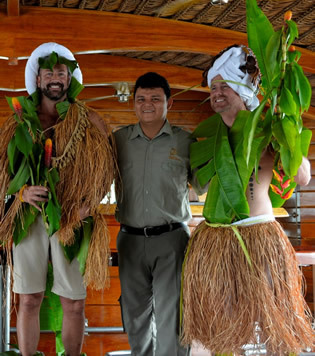 Upon arrival in Iquitos, you’ll be greeted by members of the ship's team. We will start off with a lunchbox as we travel to the city of Nauta, 60 miles away. Nauta is literally the “end of the road” where you will embark on the ship. Once we reach Nauta, you will enjoy a VIP greeting at Delfin’s private port along the shores of the Marañon River where the vessel awaits you. Later we gather for cocktails and a celebratory welcome dinner as we make our way out of port and into the Amazon River. This morning, our skiffs skim the Samiria River and its tributaries, where an abundance of wildlife hides in the deep rainforest, such as blue and yellow macaws, scarlet macaws, toucans, umbrella birds, monkeys, and river others, capybaras and more. Our naturalists and his expert eye pinpoint all the biodiversity of this region. This is also a popular dolphin feeding spot so we won´t be the only one enjoying the plethora of fish below. After a delicious lunch you will start cruising through the creeks of Yanayaquillo, peeking into different creeks and lagoons. 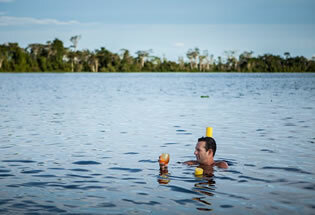 If you want to interact directly with the waters of the Amazon, go out on one of our kayaks. You will even have the opportunity to swim in the jungle river along with the famous pink dolphins! This morning, cruise through the Yanayacu and Pucate Rivers, one of the best preserved and protected zones of the Pacaya Samiria National Reserve. 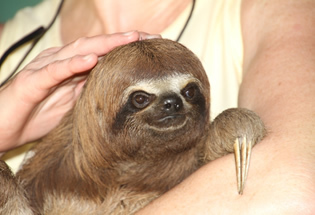 After lunch explore Nauta Caño Creek, known for squirrel and silver back tamarillo monkeys, birds, dolphins, and even sloths! We will skim the riverbanks for small caimans and spiders, as well as insects of all colors, shapes and sizes. A morning walk at Fundo Casual jungle trail will take you deep into the rainforest on terra firme (non-flooded forest) where your guide will point out the dynamic creatures and vegetation of the Amazon. Be sure to keep an attentive eye open for spotting surprises! Next we will visit the community of San Francisco. We will include a short skiff ride and jungle walk to. Here we will meet local villagers who have called Amazonia their home for generations. This morning, we’ll disembark the ship. On our way back to the Iquitos airport, we’ll visit the Rescue and Rehabilitation Center of River Mammals (ACOBIA) where you will have the chance to meet baby manatees and learn about these wonderful and docile creatures and why they are on the endangered species list. Our land personnel will wait for you at the airport and give your boarding passes and help you check in. After a connecting flight through Lima, we will arrive in Cusco and transfer to the Tambo del Inka Luxury Hotel. Urubamba Valley is located in the Andes close to the Inca capital of Cusco, and below the ancient sacred city of Machu Picchu. Enjoy the morning at leisure – sleep in, visit the spa, get in a work-out. This afternoon takes us on a scenic drive into the mountains to the incredible Saltpans of Maras which have existed since Pre-Incan times and the mind boggling archaeological Incan crop research site of Moray. Tonight we enjoy dinner as a group at the Tambo del Inka hotel. This morning, you’ll again have time to relax and unwind at the beautiful Tambo del Inka hotel or perhaps take in some optional adventure activities such as horseback riding, kayaking or stand up paddle boarding. This afternoon, we visist a local restaurant for an included buffet lunch. Following lunch, expolre Ollantaytambo, the predecessor to Machu Picchu with its huge Incan fortress rising from the edge of town. After breakfast, board the train in Ollantaytambo for the scenic journey to Aguas Calientes, the starting point for the tour of Machu Picchu, the “Lost City of the Incas.” A local expert will guide you through the marvelous citadel, the main plaza, the royal quarters, and the Temple of Three Windows before checking into the Sumaq Machu Picchu Hotel. This morning the choice is yours to make a second visit to Machu Picchu mountain in the early morning, or you could opt to climb Huaynapicchu (limited based on availability). 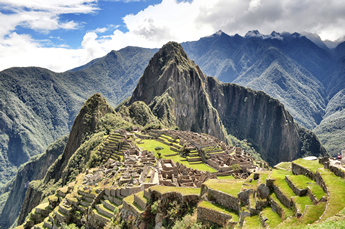 Otherwise, the morning is yours to explore Machu Picchu Village on your own. This afternoon, return to Ollantaytambo by train, and transfer to Cusco. 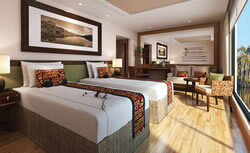 Upon arrival, check-in to the Palacio del Inka Luxury Collection Hotel in Cusco and enjoy your evening at leisure. This mornings tour takes us to Cusco’s Plaza de Armas central square for a visit to the Cathedral, one of the most imposing structures in the city. The Cathedral houses an important collection of gold and silver work from the colonial period as well as a beautiful collection of oil on canvas. Continue with a visit to the Koricancha and the Convent of Santo Domingo. The Convent was built on the Koricancha (site of gold) the most important temple dedicated to the worship of the sun by the ancient Incans. Following the walking tour, enjoy lunch on your own and an afternoon at leisure to explore this beautiful city. This evening we gather for a Pisco tasting and dinner at Republica del Pisco. Following breakfast at the hotel, visit the Sacsayhuaman fortress, one of the emblematic Inca constructions, built by Inca Pachacútec in the 15th century. It is a huge fortress made of very large stones, and the manner in which they were transported and cut is still a mystery. Then visit the Pre-Columbian Art Museum, which contains a large collection of pieces from different cultures that inhabited the Peruvian territory. From the coast to the mountains, the museum exhibits works in wood, shell, bone, silver and gold, rescuing the beauty and skill of the anonymous pre-Columbian craftsman. Following our morning tour we return to the hotel for a farewell lunch before your transfer to the Cusco airport for your departure flight. For many trekkers, climbing Huayna Picchu is one of the highlights of a visit to Machu Picchu. The views of the Citadel and surrounding landscape are extraordinary from the top and well worth the climbing effort. From a distance Huayna Picchu looks like a technical climbing endeavor, but is in fact just a steep hike with some sections that will require the use of both hands and feet to scramble upwards, but no technical skills or climbing tools. There are sections that include railings and cables for support. Anyone with a decent level of fitness and moderate constitution for heights can climb Huayna Picchu (if you are afraid of heights or susceptible to vertigo then this climb is probably not for you). There are areas that are exposed to steep drops, so caution should be taken throughout the climb, keeping a good distance between climbers in front and behind you. This is particularly true if the trail is wet. The total ascent is just over 1,000 feet (360m) with the summit at a steep angle above the city. As Huayna Picchu is so close to the city complex it provides a fantastic birds-eye view, and the climb itself provides brilliant vistas of the city from various angles. This perspective is very difficult to appreciate whilst walking within the Citadel. 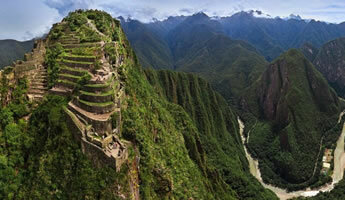 From summit the scale and ingenuity of Machu Picchu and its various structures and terraces is fully revealed. The sheer magnitude and complexity of the site provides for a humbling view. There are also terraces and temple remnants that crown the mountain’s summit, and will leave you questioning how the Inca managed to build these structures. You have an opportunity to participate in this unique once in a lifetime experience on the morning of your second day at Machu Picchu. Only a certain number of permits are issued for this excursion and they fill quickly. Therefore, we cannot guarantee any space until it is officially reserved. If you are interested, we encourage you to sign up early. Your day begins with departure from the hotel at 5:30am and the actual climb will begin at 7:00am, on your second day at Machu Picchu, April 15th. You will be back down from the mountain by approximately 11:30am. • Lima: sightseeing with a local guide; visit Archbishop’s Palace, Government Palace, San Francisco Monastery and Larco Herrara Museum. • Iquitos: visit the Manatee Rescue Center. 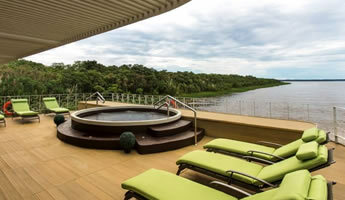 • Cruise: 4-night cruise in a deluxe, outside suite cruising the Peruvian Amazon River aboard the Delphin III. Welcome cocktail & dinner; guided sightseeing each day with a local naturalist by skiffs during the day and evening; native village visit. • Sacred Valley: visit Ollantaytambo with its huge Incan fortress rising from the edge of town; visit the Pablo Seminario Ceramic workshop in Urubamba. • Machu Picchu: board the train for the scenic journey to Aguas Calientes; sightseeing of the ruins with a local guide. • Cusco: sightseeing with visits to Santo Domingo Cathedral, Sacsayhuaman fortress and the Pre-Columbian Art Museum. 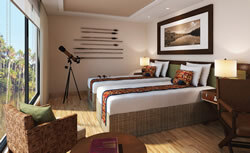 • 2 nights hotel accommodations in Lima including welcome reception and daily breakfast. • Guided tour of Lima including welcome lunch. 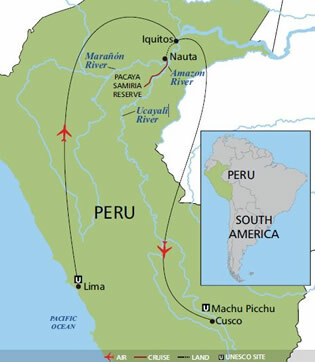 • Domestic flight from Lima to Iquitos, the gateway to the Amazon. • 4 night cruise including all meals. • Cruise includes local pisco based cocktails, local beers, and local sodas with lunch and dinner as well as house wine with dinner. • All excursions during cruise. • Domestic flights from Iquitos to Cusco. • Transfer to Sacred Valley. • Three nights hotel accommodations in the Sacred Valley including daily breakfast, one lunch and one dinner. • Full day sightseeing in the Sacred Valley. • Vista Dome train to and from Machu Picchu. • Two visits to Machu Picchu. • One night hotel accommodation in Machu Picchu village including breakfast, lunch and dinner. • Two nights hotel accommodation in Cusco including breakfast and farewell lunch. • Half day city tour of Cusco. • Lunches on land include two glasses of local beer, or soft drinks. • Dinners on land include two glasses of local beer, soft drinks or house wine. Aboard the Delphin III, attire is casual and comfortable during the day, with resort-style clothing, and comfortable, but sturdy, footwear for excursions. Evening wear consists of open-neck shirts, trousers, skirt, or similar attire. Footwear is always required in all public areas, and when navigating stairs on board. Internet service is available at all land accommodations. You should check with your cell provider to determine if you have coverage in Peru or if you can add coverage for the duration of the trip. Cell service will not be available in all areas, including the Amazon. Due to the remoteness of the Amazon, no internet service is available on board the Delfin III, and cell services is non-existent or unreliable, however the ship does have a satellite phone on board. In the event of an emergency, the reception desk can facilitate calls, and the associated costs will be billed to your onboard account. Contact information for the ship will be provided in your final travel documents. The official currency on board is the US Dollar. All charges for services and products on board will be placed on the guest’s shipboard account to be settled at the end of the voyage. MasterCard, Visa and US dollars are also accepted for the settlement of guest accounts. The electrical current on board is 220V. For those items that are dual voltage, suites are outfitted with a multi-plug configuration feature. Guests should be sure to bring the appropriate converter for devices that are not dual voltage. Laundry service is available on board the ship. Costs will be listed in each suite’s directory, and charged to the guest’s account. Self-service laundry facilities are not available on the ship. Laundry service is also available at all land properties at an additional cost. All shore excursions during your 13-day travel program are led by expert guides, and guests are divided into three groups, guaranteeing there are never more than 15 passengers touring together. Electronic listening devices are complimentary to all guests in order to ensure that guests are able to hear their guides, without disturbing nearby wildlife. The comfort and safety of our guests is our first priority. Smoking is not permitted in the suites or enclosed, public areas on board the Delfin II. There is a designated smoking area on the Sun Deck. Land properties will have designated smoking areas. Switching off lights when leaving your suite/stateroom on board the ship will help reduce the number of insects attracted to your room. While you can expect to encounter insects during the program, most are relatively harmless. Mosquitos are not frequently seen while sailing along the Amazon, but if you plan to be outside during the morning or evening hours, especially when going ashore, it is recommended to apply insect repellent, particularly to ankles and other exposed skin. In your stateroom amenities, you will find an all-natural, non-toxic, locally produced insect repellent that will not damage the local environment. Guests may wish to bring an insect repellent with DEET for use on cruise excursions. Please do not drink the tap water while on board or on shore, or use it for brushing your teeth. The ship’s water supply comes from the river after passing through a sterilization process. This water is suitable for showers and baths, but should not be consumed. In each stateroom and suite, your water carafe will be replenished twice daily, and on request, with fresh, mineral water. Each guest will also receive a reusable water bottle, which can be refilled at any time and carried on excursions. There are no required vaccination requirements for citizens of most countries entering Peru. However, we suggest each guest make an appointment with a Travel Medicine Specialist to discuss your individual needs and health concerns. For more information, US citizens should consult the Centers for Disease Control’s (CDC) website for health and vaccination recommendations. Citizens of other countries may consult their own governments disease control agency for requirements or recommendations. Citizens of the US and Canada are required to have a valid passport, which expires at least 6 months after their last day in Peru. Visas are not required for citizens of these countries. Citizens of all other countries should check with the Peruvian consulate in their home country to verify entry requirements. Situated in the heart of Lima, the Hilton Lima Miraflores is conveniently located in the Miraflores district of Lima, Peru. Just 11 miles from the Jorge Chavez International Airport (LIM), the property offers a prime location in the vibrant Larcomar entertainment area. Enjoy nearby activities including shops, theatre, museums, restaurants and parks. The hotel combines traditional 18th-century Peruvian architectonic elements with contemporary decor to create the perfect ambience. The air-conditioned guestrooms include minibars and safes. Complimentary wireless and wired high-speed Internet access is available in public areas and a computer station is located on site. 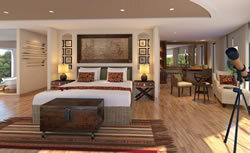 The luxurious Tambo del Inka has one of the top-rated locations in Urubamba. The elegant rooms feature native fabrics and local design, and have private balconies with views of the natural surroundings. All feature an LCD TV, iPod docking station, and exclusive marble bathrooms. 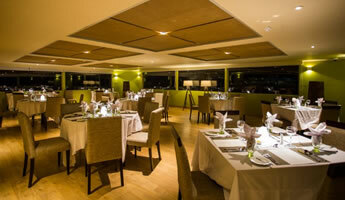 Hawa restaurant serves delicious new Andean cuisine made with organic, homegrown ingredients. Kiri bar and terrace serves light snacks and cocktails, and guests can enjoy a daily breakfast buffet. Enjoy the pool or get in a workout in the modern gym, and unwind afterwards with natural massage. 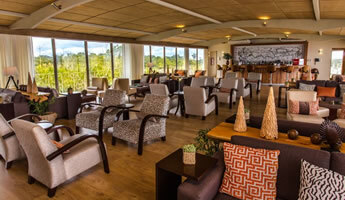 Then relax in the cozy lounge, featuring a classic billiards table and variety of board games. 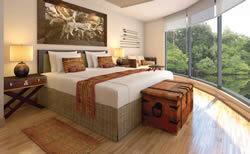 Sumaq Machu Picchu Hotel is a family-owned, luxury hotel. Sumaq's exclusive service is dedicated entirely to allowing its guests to forget all their worries while concentrating on the beautiful landscapes, with lush vegetation, soaring mountains, descending valleys, ancient trails, and an amazing waterfall. In a privileged location in the Machu Picchu historic sanctuary, and on the banks of the Vilcanota River, Sumaq is a 10-minute walk to the Aguas Calientes Train Station. Designed to showcase a centuries-old, magical blend of pre-Columbian, Inkan, Spaniard, Colonial, and modern cultures - Palacio del Inka presents a captivating variety of rare opportunities and state-of-the-art amenities that guarantee an enriching and memorable stay in Cusco. Presently, avenues, centuries-old passageways, cobblestone side streets, and alleys traverse the city, each leading to the Palacio del Inka. Situated in the center of the city, the hotel is encircled by Inka foundations topped with colonial constructions, museums, storied archeological sites, premier restaurants, and vibrant local markets. Free Wi-Fi in public areas, full service spa and a business center are among the amenities of the Palacio del Inka. Located on the Upper Deck, the 597-squarefoot Owner Suite features a king-size bed and floor-to-ceiling, wraparound glass windows. Added amenities include: mini-bar stocked with water and soft drinks, and scented bath available upon request. Located on the Main Deck, the 253-squarefoot Corner Suites offer king-size beds and floor-to-ceiling, panoramic glass windows. Added amenities include: mini-bar stocked with water and soft drinks. Located on the Upper Deck, the 237-square foot Upper Suites feature two twin-size beds or one queen-size bed, panoramic glass windows, writing desk, seating area, ample closet space and under bed storage, along with a range of luxury amenities. 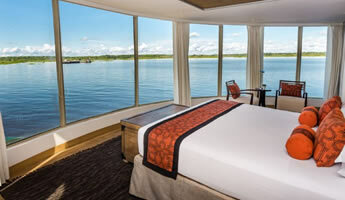 Located on the Main Deck, the 237-square foot Suites feature two twin-size beds or one queen-size bed, panoramic glass windows, writing desk, seating area, ample closet space and under bed storage, along with a range of luxury amenities. Located on the Main Deck, the 120-square foot Suites feature queen-size bed, panoramic glass windows, writing desk, seating area, ample closet space and under bed storage, along with a range of luxury amenities. Above fares include fees and government taxes. Cruise Port Charges are an additional $130. Initial deposit is $850 per person, with final payment due 120 days before departure. We offer a single supplement of $2,500 on Upper Suite and Suite categories. Early Bird booking rates available through May 31, 2019.